If last night’s vote in NY-26, a seriously red district in western New York, said anything, it’s that Rep. Ryan’s Path to Poverty (for the middle class and seniors) is an absolute non-starter with the American public. Yet a number of Republicans refuse to understand that message. 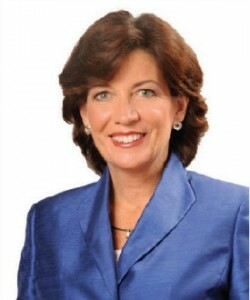 Instead, they claim the Kathy Hochul campaign was just more successful at “spinning” a web of lies that Republican Jane Corwin was unable to hack through, and that she fought the good fight against ” against two well-funded Democrats, including one masquerading under the Tea Party name (according to Rep. Pete Sessions R-TX). They may not want to admit it, but the truth is that the Paul Ryan “kill Medicare” budget lost this seat for the Republican Party. Conservatives and outside groups spent on the order of $8-9M in an attempt to sway voters, into voting for a candidate who supported privatizing Medicare all for naught. This race was about Medicare, and voters clearly told Republicans they aren’t voting for candidates who want to strip them of benefits for which they’ve worked for and paid into throughout their entire working life. The potency of this issue is not simply because Republicans want to end Medicare. It is because the GOP wants to end Medicare in order to pay for an almost 30 percent tax rate reduction for the wealthiest Americans and big corporations, and to maintain the current billions in tax subsidies to oil companies. That’s nearly a 1/3 cut in taxes for the wealthiest Americans and biggest corporations, and billions of tax dollars to oil companies, paid for by America’s senior citizens and their families. It’s now up to us to build on her success in the upcoming election in Nevada’s CD-2 race. We need to elect our Democratic candidate (whomever that will be) to fill that seat. Then, next year, we need to unseat Sen. Dean Heller, who not only voted for Ryan’s Path to Poverty for the middle class and seniors, but has bragged about how he’s looking forward to being the only person in Congress who will have the privilege of being able to vote twice to pass it. We also need to unseat Joe Heck who voted with glee for the Ryan Budget, for continuing to subsidize big oil, and for sicking the tax collector on women and families who just happen to have an abortion provision in their health care plan. But for now, we need to make sure each and every Democrat in CD-2 is wide awake, paying attention, and ready to vote for our Democratic nominee on September 13th. Rep. Nancy Pelosi: I want to extend my congratulations to Congresswoman-elect Kathy Hochul for her victory in New York’s 26th Congressional District. Kathy and I both believe that we need to create jobs, grow our economy, and reduce the deficit in order to outcompete other nations and win the future. Kathy has shown, through her victory and throughout her career, that she will fight for the families and businesses in western New York, and I look forward to working with her when she gets to Washington. “I wholeheartedly congratulate Congresswoman-elect Hochul and her grassroots supporters for their hard work and dedication despite being outspent by a 2-to-1 margin. Tonight’s election result is not just a victory for Congresswoman-elect Kathy Hochul, it’s a victory for the residents of Western New York and for Americans who believe that our elected leaders should fight to protect Medicare and ensure that our government works for our seniors, working families and young people. Kathy’s Republican opponent, and those who spent a small fortune on her behalf in a solidly Republican district, found out the hard way that their extreme plans to abolish Medicare and slash Medicaid and investments in health care, education, innovation and job creation are wrongheaded and unpopular even in a district that should have been a cakewalk for the Republican candidate. “Just a few months ago, former Republican Congressman Lee won the 26th district with 74 percent of the vote – but since that time Republicans have voted to end Medicare and place a whole host of additional burdens on seniors, young people and working families while preserving tax breaks for millionaires, billionaires and big oil and they have been on the wrong side of public sentiment ever since. This entry was posted in Announcements, Budget-Federal, Elections, Issues, Medicare on May 25, 2011 by NVRDC.